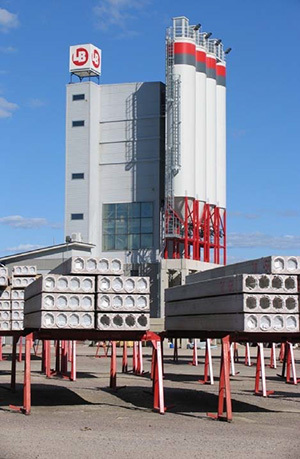 Lujabetoni Oy is one of Finland’s leading concrete industry companies providing its customers with an extensive range of products, including ready‐mixed concretes, precast units for frames and facades, railway sleepers, piles, precast units for agriculture as well as landscaping products such as paving slabs, and prefabricated housing systems. 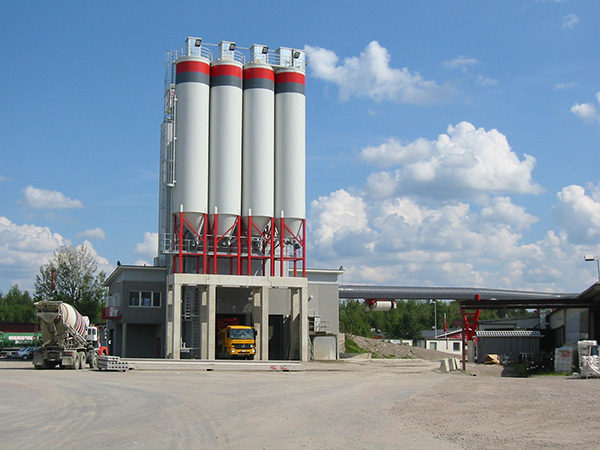 Customer needs and the demanding Finnish climate conditions have been the starting points for Lujabetoni’s innovative product and production develoipment. Lujabetoni manufactures its high quality products in highly controlled factory conditions, adhering to the highest standards and industrial efficiency ‐ in particular when talking about energy efficiency and environmental friendliness and thus also cost‐effectiveness. Already since the early 1990’s Lujabetoni has systematically implemented its long term development plan to achieve savings in the cost of energy usage in their production processes. As a result of the comprehensive development plan the overall, company‐wide energy consumption was 50% lower in 2007 compared to when the development work was started in 1993. In some of Lujabetoni’s factories the specific energy consumption has dropped with even as much as almost 70%. In order to achieve these savings major investments in renewing the heating systems have been needed along with improvements in control and surveillance of buildings and production processes, equipment specific preventive maintenance, better door solutions, heat recovery systems among many other things. The long‐term, and still continuing, development project was started in 1992 with systematic energy audits, performed in cooperation with Olof Granlund Oy, a leading Finnish engineering company. After a thorough review of each individual factory recommended actions with pay‐back calculations were developed. The implementation of the actual modernisations and investements were begun in 1993. One of the major areas of improvement has been the replacement of steam‐based heating systems with water‐based heating systems. The improvement actions throughout the years have been many and covered a lot of things, but according to Tero Kokkonen, Technology Director at Lujabetoni “one of the cornerstones in achieving the savings has been Polarmatic’s TURBOMATIC thermal energy unit and the savings it has brought”. “The TURBOMATIC offers also other benefits than cost savings”, Mr. Kokkonen continues. 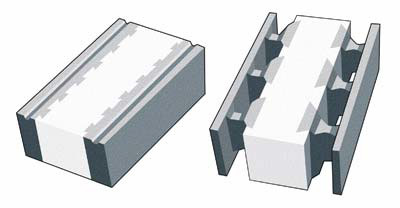 “Due to superior heating power of the TURBOMATIC it is possible to increase the concrete production as well as in some cases also the production of concrete (end‐) products – especially with the use of hot concrete.” “In some cases it has been possible to double the production with the use of hot concrete”. “With the TURBOMATIC heating system high quality quality concrete and thus high quality end‐products can be guaranteed because with the TURBOMATIC heating system the correct water‐to‐cement ration can always be maintained.” “In some cases we have been able to reduce the use of cement in our own production due to the fact that we use hot concrete.”, Mr. Kokkonen ads. “The increased production and these other savings are sometimes even greater than the fuel, operational and maintenance cost savings.” Mr Kokkonen concludes. “It is important to continue the (energy related) improvement actions, compare different factories and to copy good solutions from one factory to the other.” says Mr. Kokkonen. “We at Lujabetoni will continue with our continuous development and our target is to further intensify our energy usage with another 20% from 2007 to 2016.” “We are convinced that we can reach this target with carefully planned and selected energy savings‐investments and by improving the use and follow‐up of our systems”, Mr. Kokkonen concludes.